Companies spend lots of money and effort recruiting on social media but that investment isn’t paying off like it should. Why that’s the case and how you can get the most from social media is the subject of this episode. Joining me are two special guests from WorkScene, a social media platform designed for recruiting. Michael Webb is the company’s Founder and CEO. Cyndy Trivella serves as Vice President of Strategic Relations. 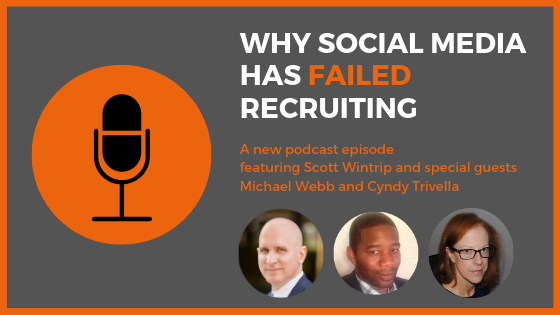 The number one reason why recruiting on social media is failing to draw in enough quality talent. Steps you can take to improve your social media recruiting results. Why talent communities are an important part of your future (if you want to effectively compete for top talent). The importance of showcasing your company culture and how doing so attracts quality people. During the podcast, Michael announced a special offer for listeners–a WorkScene Pro account FREE for 12 months. Be sure to listen for the code to take advantage of this offer. Click here to sign up using that code. 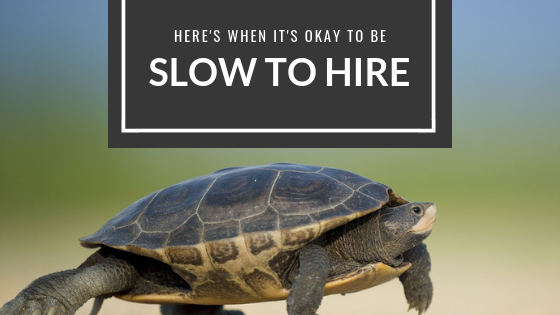 Being slow to hire often means a job goes unfilled for awhile. But it doesn’t have to. There’s a way to be slow to hire that’s fast and effective. It starts with understanding the real meaning of the idea. The idea of slow to hire has been around for years. I noticed it gained traction as leaders became increasingly aware of the significant costs of a bad hire. The financial cost alone has been estimated as a five- to six-figure sum. Then there’s the lost time, missed opportunities, wasted effort, and added stress. Because of these costs, it made sense to make hiring decisions carefully. That was the original intent of being slow to hire—taking the time necessary to make smart hiring decisions. Unfortunately, the idea of careful hiring took on a life of its own. One or two rounds of interviews with prospective hires expanded to three, four, five, sometimes six separate rounds before making a hiring decision. Then there are additional steps including testing, reference checking, and background checks. Finally, if all goes well, a job offer is made to the most qualified person. However, if that offer is declined and the second choice candidate has already taken another job (which often happens after a long, drawn-out hiring process) the whole process starts all over again. That adds more time, more effort, more expense, and more interviews, making slow to hire even slower. Has this cautious approach to hiring worked? Not if you’re a leader with an unfilled job. Certainly not if you’re in HR and can’t find enough qualified people. Definitely not if you’re in staffing or talent acquisition and your best candidate was just hired by a faster competitor. The time it takes to fill just one job has reached an all-time high, and there’s been no improvement in employee turnover. Because of this misunderstanding about slow to hire, the world has been operating on a faulty premise. People have mistakenly been equating time and effort spent on hiring with making a quality hire. The more take they take, the more energy they expend, the better the hire will be. It’s given them a false sense of control. Taking lots of time to hire doesn’t save companies from bad hires; it only saves people from making a decision they’re afraid may be wrong. Slow to hire became something unintended. It turned into being slow to fill. You can break your organization out of this cycle, while still taking a prudent approach to decision-making. You do that by being slow to hire and fast to fill. Here are 6 steps that will help. Pick one role and start cultivating talent for it right now, even if there are no current openings. It’s not if that job will open, but when. You’re preparing for the when. Let candidates know you hire differently, getting to know people before jobs open. You’ll typically find that talented people welcome this approach since this gives them an option for their future. Just as you try on clothes before buying them, you can have people try-on opportunities. Invite people to experience your company and culture. Having them try out sample work lets you both determine if a role in your organization may be a future fit. Touch base with prospective hires at least monthly. Use the few minutes you spend to pass along valuable information, such as marketplace updates or news on a trend you’ve seen. This keeps your relationship top of mind while also making her better off just from having spoken with you. When a job opens, offer it to the top person with whom you’ve stayed in touch. If she’s unable to say “yes,” offer it to the next best candidate on your list. As you maintain contact with candidates who are ready-to-hire, you can repeat these steps with another role (if you like). And then another. And then another. Smart decision-making and a speedy process can work hand in hand when you’re slow to hire and fast to fill. This balanced approach lets your organization make prudent hiring decisions while filling jobs the moment they become open. Want to Hire Faster? Eliminate These 3 Obstacles. Many organizations are struggling to fill open positions. It takes them weeks or months to fill just one job. The skills shortage often gets the blame. Because there are more jobs than people to fill them, leaders have come to expect that hiring will be a time-consuming challenge. Another group of companies is having a different hiring experience. These organizations fill their open seats with relative ease and speed, even though there aren’t enough qualified people to go around. What makes these organizations different isn’t their reputation, location, work environment, or pay and benefits. It’s how they’ve chosen to address the talent shortage. 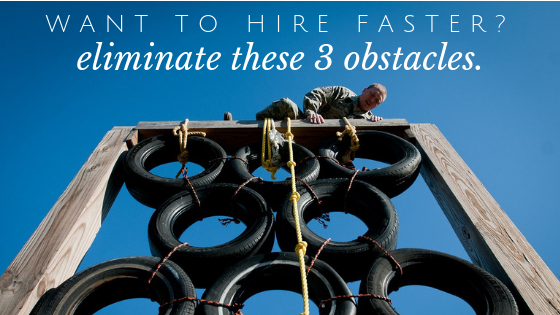 They’ve overcome three common obstacles that slow down fast hiring. While the global talent shortage is an ongoing reality, it’s not the real problem. The skills shortage is merely a challenge that can be solved by a better process. The critical problem—the only one you can control—is having the right kind of hiring process. 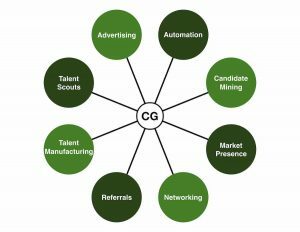 The right process taps into a sufficient pool of talent and efficiently moves candidates toward hire. To fill jobs quickly with top talent, your hiring process must overcome these three obstacles. If you asked employers why they can’t fill jobs, over a third will tell you they’re not getting enough applicants, or they’re getting no applicants at all. Yet, only 10 percent of these employers leverage untapped talent pools. Faster hiring requires mass: You must build a critical mass of candidates to select from. Building mass requires tapping into overlooked pools of people. To determine if your organization is tapping into a candidate pool that’s too small, take these three steps. There are eight streams of talent. Each stream provides access to unique people. Compare these streams to how your company acquires candidates. Review your organization’s hires over the past six to 12 months. Note which streams these hires came from and which streams didn’t produce any successful hires. Every talent stream should be producing candidates, some of whom become quality hires. Those that don’t are under-used or overlooked. During typical interviews, candidates are on their best behavior. As a result, interviews are often a poor barometer as to who will fail or succeed in a given role. Some “newer” interview methods, such as behavioral interviewing, have only made the process longer. Hundreds of books and articles have been written on how to beat behavioral interviews. These books and articles demonstrate simple methods for telling interviewers exactly what they want to hear. Interviews cannot be a conceptual exercise. They must allow you to see proof then-and-there that a candidate can do the job and do it well. Take time to evaluate the speed and accuracy of your interviewing methods by reviewing each step of the process, evaluating the effectiveness of techniques used by interviewers. Answer these questions. Does the interviewing technique consistently uncover irrefutable proof about a candidate’s fitness for the job? If “no,” how can we replace or eliminate that technique to get a better result? If “yes,” what can we do to streamline this technique and still get the same consistent irrefutable proof? When a seat opens suddenly, the amount of activity it generates can feel overwhelming. Without an active talent pipeline, a frantic dance ensues. Managers have to handle extra work as the company tries to find suitable candidates. Days later, schedules have to be coordinated for phone screenings and interviews. Work piles up, good candidates take other jobs, and nerves fray. Maintaining a pipeline of ready-to-hire prospective employees eliminates the dance. When jobs open, there’s no rush, panic, or chaos. Instead, you can hire from your overflowing pipeline. It’s vital that your organization assess its pipelining strategies. Starting with the most critical roles in your organization, answer these questions. For each role, how many people are ready to hire right now? For any roles where there aren’t people ready to hire now, where is the pipelining process failing? For example, are there viable candidates who are stuck at the interview stage? Is there a lack of suitable candidates to interview? Is recruiting failing to generate candidates? Use what you learn to address those process problems. Speed is no longer a competitive advantage. In today’s fast-paced competitive world, it’s a requirement for doing business and hiring quality employees. The importance of having talented people exactly when they’re needed makes fast and accurate hiring a strategic imperative. Why, Hire Slow, Fire Fast is Dead Wrong! How can you speed up the hiring process while making sure you hire the right person? 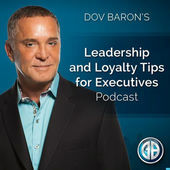 Bestselling author and Top 30 Global Leadership Guru Dov Baron and I discuss concrete steps you can take in this segment of his award-winning podcast. Companies that use staffing providers fill their jobs four times faster than those that do not. Does this mean most companies use staffing? No. Less than a third do each year. Here’s how you can cultivate more buyers and get them buying quickly. I understand that you’re busy. Probably more than ever since your company has likely remained lean following the Great Recession. That’s why I’m suggesting you take on an important task. One that may seem counterintuitive. Your company needs your help generating candidate referrals to fill your jobs. You may be thinking, “This so-called hiring expert has lost his mind. I’ve already got a full calendar and a desk loaded with work.” A recent story about restaurant chain Cracker Barrel demonstrates why helping with referrals is in your best interest. So, how does this Cracker Barrel example relate to generating job candidate referrals? Being invited by a restaurant manager for a free meal is a welcome surprise. Being contacted about career opportunities is a welcome surprise and an ego boost. When you personally reach out to a potential job candidate, you’re sending a message. You’re saying, “You matter. I value you and your background.” You’re also showing people that your company and leadership style are different and attractive. Why is this important? You have tremendous power. You have a network of colleagues who may fit current (or future) job openings. This same group of contacts can introduce you to dozens of additional people who could also fit your hiring needs. Now, you may be thinking, “Our corporate recruiter or someone in HR could do this just as easily as I can.” No offense to them, but they cannot. You have something they don’t—shared experience. You have much in common with that prospective job candidate. You talk their talk and understand what they go through each day. This gives you immediate credibility and helps engender trust. A recruiter or HR can help you move things forward following your initial dialogue with someone. But only after you’ve built rapport and captured the candidate’s interest. Generating referrals now, even if you don’t have any open jobs, will save you time. This part may seem surprising. However, think about what happens when a job opens. Most managers engage in the old way of hiring—keeping a job open until the right person shows up. That means they have to do their own job, handle or delegate the workload of the open position, and conduct interviews to fill that opening. Is it any wonder so many leaders are exhausted and overwhelmed? When you engage in the new way of hiring—cultivating talented people and waiting for the right job to show up—the exhaustion and overwhelm go away. Spending 20 minutes a week reaching out to talented people helps keep hiring manageable. So, help your company help you. Set aside a small chunk of time weekly to cultivate referrals. Use these referrals to line up people before you need them. Engage in the new way of hiring and make hiring delays a thing of the past. People are generous. When you ask for their help in the right way, you’ll be amazed at the result. Including when you ask for referrals to top talent. In this video, I walk you through a four-step process that can land you 20 job candidate referrals in just 20 minutes. When it comes to success in business, one measure alone can accurately predict the future—wealth of talent. The more talent wealth an organization has, the more successful that organization will be. We’ve all experienced the benefits of organizations that are rich in talent. These are the companies we’ve come to love. When we say we love a company, what we’re really saying is we love the work being done by the exceptional people in these organizations. People are the reason why Apple, Alphabet (Google), Amazon.com, and Starbucks remain some of the world’s most admired companies. That’s why having a wealth of talent is so important for all organizations. Talented employees who do outstanding work are the secret ingredients that make their companies great. Just as there are levels of personal wealth, so too are there levels of talent wealth within companies. Organizations that are talent rich are the trendsetters and chief innovators within their industries. At the other end of the spectrum are those businesses that are talent poor. These companies scramble to be competitive and frequently struggle to survive. The message is clear: In order for your organization to thrive, it must have great talent. And building a wealth of talent begins with assessing your organization’s current circumstances. You’ll start by determining your current level of talent wealth. Next, you’ll enrich your pool of prospective employees by improving the flow of top talent, as well as enhancing how you attract talented people to join your company. Finally, you’ll ensure that your organization can sustain success by always having highly qualified people ready to hire the moment a job becomes open. Is your organization talent rich, talent poor, or somewhere in between? Accurately appraising your current level of talent wealth will guide you in taking appropriate action to improve or maintain your competitive advantage. 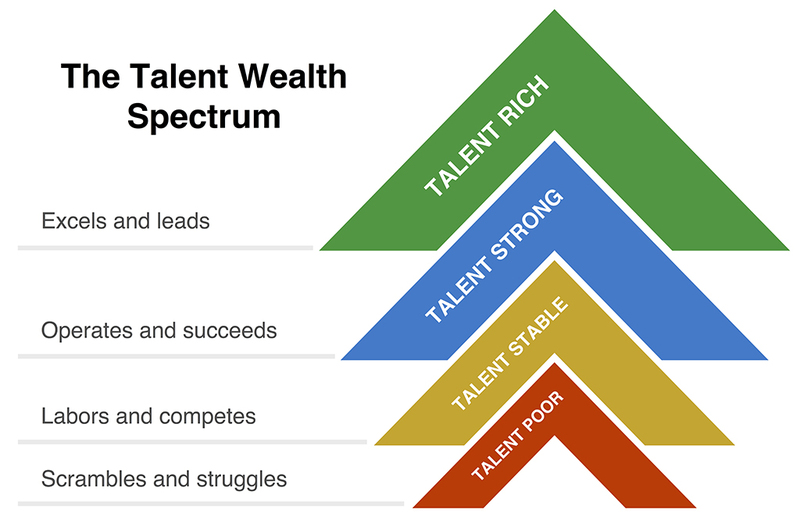 Determining and increasing your talent wealth begins with understanding the four levels of talent wealth. Organizations that are talent rich excel, leading the way in their industries. They don’t worry about the competition; they’re the ones other companies are aspiring to become. They’re constantly several steps ahead, generating new ideas, including the latest innovations to products and services. Talent strong organizations operate efficiently and succeed in many things they do. These companies win more than they lose, outpacing many of their competitors. They’re fairly creative, sometimes being the ones to create the latest, greatest version of a product or service. Organizations that are talent stable spend each day competing with others, laboring to maintain their position in the market. These organizations watch for the latest trends or innovations and do their best to add them to their offerings. Talent poor companies scramble to get work done. Often, these organizations struggle to remain viable. They’re several steps behind their competitors. Frequently they offer the same products or services year after year, only occasionally copying the new offerings being provided by companies in the same business. If you’re ready to improve your talent wealth, download the free, full report on this topic from ChangeThis.com. Auditing your company’s balance sheet can tell you a lot about the health of your organization. Auditing your hiring process can tell you a lot about the health of how you choose your employees. Scott shares fives questions you can use to complete your assessment. You’ll likely agree that hiring is one of your most important tasks. Get it right, you make your job as a leader easier. Get it wrong, you make your job harder—and possibly put your career at risk. The desire to get hiring right is why many executives and managers are slow to hire and quick to fire. Problem is, you’re beyond busy. Every day is full. An open seat means extra work you either have to do yourself or delegate. Add the steps of the hiring process, and your already busy day turns overwhelming. How can you balance your need to make good hires while managing your day efficiently? It’s all about talent flow. The importance of talent flow came up recently at global CEO summit I attended. After my keynote address I stood on a balcony talking with a few CEOs from the audience. We looked out over a stunning landscape. Mountains stretched into the distance, dotted by lakes and streams, the rolling landscape accented with the beautiful orange and red hues of fall foliage. On one side, a particularly beautiful lake drew our attention. One of the CEOs, who lived in the area, told us it was his favorite fishing spot. He explained the lake was fed by a spring. The spring burbles up from an aquifer, pumping in millions of gallons of oxygen-enriched fresh water. Water that sustains the fish and nurtures plant life. On the other side of this crystal clear lake was a stream. The stream served double duty—it allowed fish to swim downstream to seek food in nearby lakes, and carried away dead plant matter and other natural waste. As we were talking, I happened to glance in the other direction and see another lake—one that was quite unattractive. There was no spring feeding this lake, nor was there a stream carrying away debris. It was stagnant, covered by a large algae bloom and choked with dead plants. I pointed it out and asked the CEO about it. I nodded my head, making a connection. I was about to speak, but he anticipated my thoughts with uncanny accuracy. He was spot on. If there’s a secret weapon behind successful CEOs and top leaders, it’s making talent flow a strategic imperative. From the top down, these leaders know it’s incumbent upon them, not just HR or the talent acquisition team, to maintain a strong flow of talented people. Savvy leaders understand having a strong talent flow is a strategic necessity. Without that flow, departments—or even the entire organization—could end up like that stagnant lake. Like the spring feeding the lake, make sure your company has a constant inbound pipeline of prospective employees. Take steps to keep it strong. Work to generate a consistent stream of talented, valuable candidates. Weed out the weak sooner so they don’t waste your time later. Only 10% of organizations across the globe maintain a strong flow of quality candidates and tap into overlooked pools of talent. That’s where you start—don’t be one of the 90%. Your growth strategy must include a robust talent flow strategy. Make it a requirement. Task department heads to continuously assess and enrich the stream of prospective employees. Require it before jobs become open, not after. Provide them with resources to tap into a wider pool of candidates. Lead by example. Show them how to enrich the flow by actively networking, referring new candidates, and pointing them toward the pristine, spring-fed lakes best for fishing. The healthy lake is the candidate pool; the interview is your rod, reel, and tackle. Effective interviews are how you harness the flow of top talent. They’re how you catch and land top team members. Unfortunately, most interviews fail at identifying the best people. Effective interviews aren’t conceptual. Companies operate in the real world of balance sheets, deadlines, and deliverables. Interviewing should be a reality check—a pragmatic and efficient process that allows you and the candidate to make an informed decision based on facts directly related to the job, not on theory, abstractions, or cute questions that may or may not be relevant to the task at hand. Which is, of course, finding the right person for your company. The prettiest lure in the world is worthless if it doesn’t land the right fish. Get the facts you need by taking a rational approach to interviews. Be like a scientist: gather and evaluate the evidence; make a decision based on that evidence—not on what you project or how a candidate spins a particular aspect of their resume or work experience. Look for proof the candidate can do quality work. Ask for real examples from previous work projects. If examples aren’t available, have them generate a sample—right then and there—related to the job for which they’re interviewing. As your company takes steps to enrich and harness the flow of talent, there’s a risk you’ll change too much at one time. Patience is a virtue many of us lack. In today’s fast-paced society, impatience is the norm. We want things done now, not weeks from now. To drive change, we set tight deadlines and push everyone, including ourselves, towards the goal. Fast change rarely sticks. It takes time to adjust routines and change habits. A rapid series of changes can overwhelm us. We reach a tipping point and give up, reverting to our previous routines. Incorporating an improved talent flow into your strategic plans is a must, but you have to make the timeline realistic and achievable. As a leader, creating a vibrant organization begins and ends with you. When your company is already like that beautiful, thriving, healthy lake, you have an advantage. If your company is part of the forward thinking 10% that maintains a constant stream of incoming talent, keep it that way. Don’t build dams; make sure the spring keeps flowing. If your organization is more like that stagnant lake, don’t fret. A lake can be restored to its former beauty—so can your company and all the departments in it. 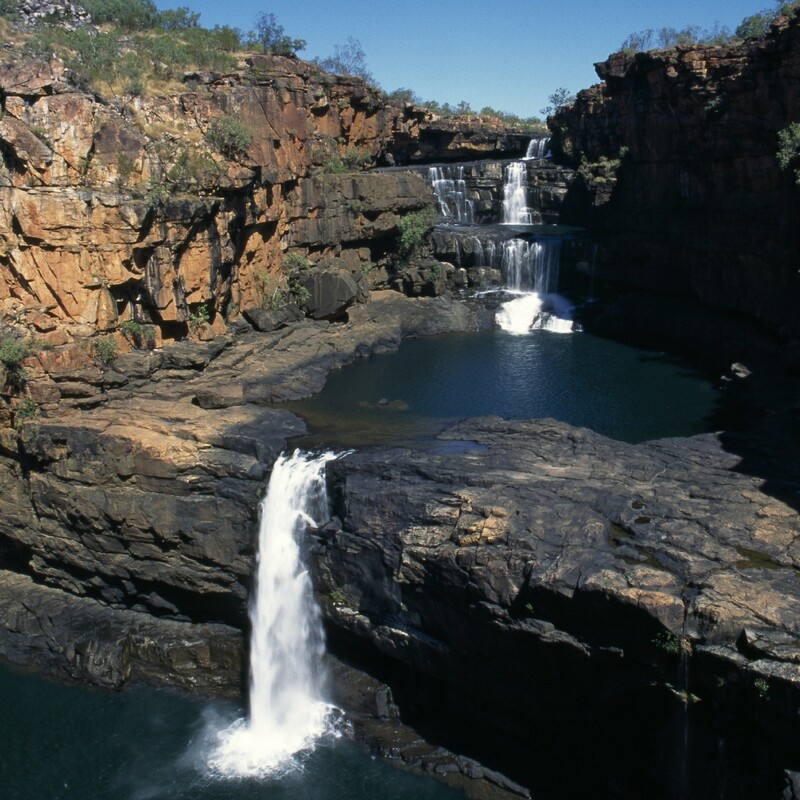 Make it a strategic imperative to tap that deep aquifer. Enrich, harness, and sustain the flow of top talent. When you make this proactive choice, you’ll keep your pool of potentials stocked with skilled, resourceful people who do great work, help you reach your strategic goals, and keep your company strong and thriving.